The discography of the English rock band Led Zeppelin consists of eight studio albums, four live albums, nine compilation albums, sixteen singles and eight music downloads. Formed in London in 1968, the group consisted of guitarist Jimmy Page, singer Robert Plant, bass player John Paul Jones, and drummer John Bonham. The band pioneered the concept of album-oriented rock and often refused to release popular songs as singles. Their debut album, Led Zeppelin (1969), released by Atlantic Records, charted at number six on the UK Albums Chart and at number ten on the United States Billboard 200. It received several sales certifications, including an 8 times multi-platinum from the Recording Industry Association of America (RIAA) and Diamond from the Music Canada. Led Zeppelin's second studio album, Led Zeppelin II, recorded when the band were on tour, was released a few months after the first. It reached number one in several countries, including the UK and the US, where it was certified 12 times multi-platinum. The album produced Led Zeppelin's most successful single, "Whole Lotta Love", which peaked at several music charts in the top 10. Led Zeppelin III (1970) was a softer, more folk-based effort compared to the hard rock of the band's previous releases. It also peaked at number one in the UK and in the US. The discography of American pop vocal group Backstreet Boys consists of nine studio albums, 29 singles, one live album, three compilation albums and 32 music videos. Formed in Orlando, Florida in 1993, the group consists of Nick Carter, Brian Littrell, Kevin Richardson, A. J. McLean and Howie Dorough. Richardson left the group in 2006 to pursue other interests, but rejoined in 2012. The Backstreet Boys released their debut single "We've Got It Goin' On" in 1995, which peaked at number sixty-nine on the Billboard Hot 100. The single, however, entered the top ten in many European countries. Their debut album, Backstreet Boys, was released internationally in 1996, and was certified three times platinum in Europe, and diamond in Canada. 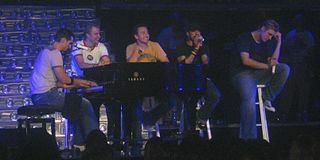 In 1997, they released their second international album, Backstreet's Back, which continued their international success. At the same time, they released their second self-titled album in the United States. It peaked at number four and eventually became the tenth best-selling album of the 1990s. The following is the complete discography of British singer/musician Rod Stewart. Robyn Is Here is the debut studio album by Swedish singer Robyn. It was released on 13 October 1995 by Ricochet Records, Ariola Records and BMG. The album peaked at number eight on the Swedish chart and was certified double platinum by the Swedish Recording Industry Association (GLF). In the United States, the album was certified platinum by the Recording Industry Association of America (RIAA), and had sold more than 922,000 copies by June 2010, according to Nielsen SoundScan. Worldwide, the album has sold over 1.5 million copies. My Truth is the second studio album by Swedish recording artist Robyn. It was released on 17 May 1999 through BMG Sweden. Robyn collaborated with producers including Lindström & Ekhé, Christian Falk, Billy Mann, Thomas Rusiak and Masters at Work during its recording. A pop and R&B record, My Truth is an autobiographical album for which Robyn co-wrote all fourteen songs. Certain lyrics reflect on the abortion the singer had in the fall of 1998, which sparked controversy when RCA Records began formulating a North American release. When she refused to make alterations to the album per request by the label, the plans to release My Truth outside of Sweden were cancelled. Sverigetopplistan is the Swedish national record chart, earlier known as Topplistan (1975–1997) and Hitlistan (1998–2007) and known by its current name since October 2007, based on sales data from the Swedish Recording Industry Association. Before Topplistan, music sales in Sweden were recorded by Kvällstoppen, whose weekly chart was a combined albums and singles list. American singer Nicole Scherzinger has released two studio albums, and twenty-eight singles. She came into prominence in the early 2000s as a member of the ill-fated girl-group Eden's Crush and then was cast as the lead singer of the Pussycat Dolls, a burlesque troupe turned-recording group. She has sold over 60 million records as a solo artist and as a member of the Pussycat Dolls. Rascal Flatts is an American country group founded in 2000 by Gary LeVox, Jay DeMarcus, and Joe Don Rooney. Signed to Lyric Street Records since its foundation, the band has released eleven studio albums plus a Greatest Hits package, all on the Lyric Street Records label. Their highest-certified album is Feels Like Today, which is certified 5× Platinum. Except for their 2000 self-titled debut, all of the group's albums have reached No. 1 on the Top Country Albums chart. Lynyrd Skynyrd is an American band formed in 1964 that was named after the group's mutual high school gym teacher. The band has released many studio, live, and other albums, along with several singles and video discs. This is the discography of Andreas Johnson, a Swedish pop rock singer-songwriter, consists of six studio albums, a compilation album, nineteen singles, and eight music videos. In 1996, Johnson signed a recording contract with EMI and released his debut studio album, Cottonfish Tales, in April 1997. Though critically acclaimed, the record was less than a success commercially. The first single released through his new contract with Warner Music Sweden, entitled "Glorious," topped the charts, reaching number three on the Italian Singles Chart, number four on the UK Singles Chart, and number eight on the Billboard's Hot Dance Club Songs. In 2000, "Glorious" received the gold certification by the Swedish Recording Industry Association (GLF) for distribution of over ten thousand singles. Johnson released his second album, Liebling, in May 1999. 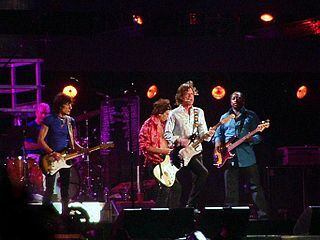 The album sold 500,000 units and was followed by extensive touring, during which Johnson began work on his third solo record.